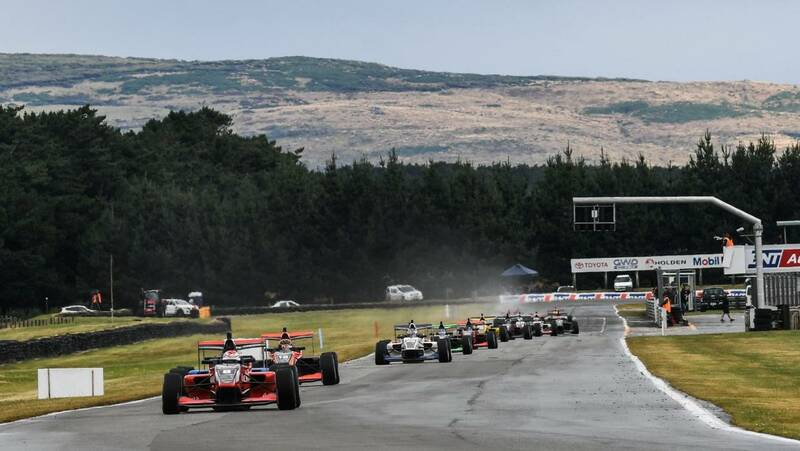 Conditions were fine for racing on Saturday, but strong winds forced the cancellation of the Sunday session in the Toyota Racing Series at Teretonga Park. Strong winds forced organisers to pull the pin on any Sunday racing in the second round of the Toyota Racing Series at Invercargill's Teretonga Park. After consultation with all team owners and drivers, Toyota Racing New Zealand (TRNZ) made the decision on Sunday morning to cancel all remaining qualifying and racing after gale-force winds were deemed to have made the circuit conditions unsafe for the high-speed cars. In a statement, TRNZ said average winds of 65 km/h and gusts of in excess of 100 km/h caused significant damage at the track on Saturday afternoon and evening, and that the forecast for Sunday indicated increasing average winds and peak gusts. Castrol Toyota Racing Series Category Manager Nico Caillol was keen to stress the decision had not been made lightly, and was based solely on the safety of the 16 drivers and others involved in the series. All were said to have supported the decision, with the extreme high winds potentially compromising vehicle downforce. "Our conclusion is that the predicted wind speeds and gusts combined with the high speed nature of the coastal track could compromise the downforce of the 500kg machines and potentially put driver safety and the safety of others at an enhanced and unacceptable level of risk," Caillol said. In accordance with the championship rules, the remaining races have been rescheduled. Race two, which was due to run on Sunday morning, will be run at the Hampton Downs meeting next weekend, while race three qualifying and the race itself will be run at Taupo Motorsport Park the following weekend. In Saturday's opening race, Marcus Armstrong notched a thrilling victory over compatriot Kiwi Liam Lawson, with the Kiwi duo now tied on points at the top of the championship standings.